Today marks exactly two years until the biggest women's event in golf returns to Scotland when the Solheim Cup is played at Gleneagles, 13th to 15th September, 2019. Returning to the scene of an historic European victory at the 2014 Ryder Cup, the PGA Centenary Course at Gleneagles will host the 16th edition of The Solheim Cup. Europe's leading women golfers will be hoping to follow in the footsteps of their victorious male counterparts after a dominant American team retained the trophy by 16 ½ to 11 ½ points last month at Des Moines Golf & Country Club in Iowa. A variety of packages and tickets are now available with special family ticket packages and early bird discounts on offer. With record crowds predicted, seven official global Tour operators are now in place: leading UK travel companies, Executive Golf & Leisure, Golf Breaks, Your Golf Travel, Scotland Golf Tours, Germany's Golf Extra and US Travel companies, Celtic Golf, Premier Golf LLC. 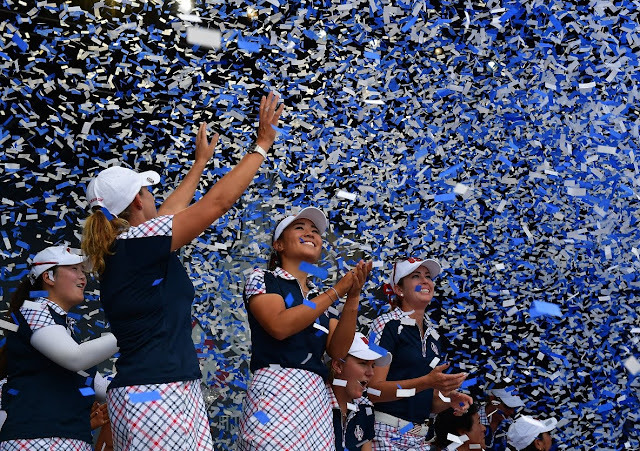 All information regarding the 2019 Solheim Cup is available at WWW.SOLHEIMCUP2019.COM. The week will begin with the PING Junior Solheim Cup, also taking place at Gleneagles.This unique U18 event will be showcased as never before as Scotland seeks to ensure that this is the most family orientated and inclusive Solheim Cup ever staged. 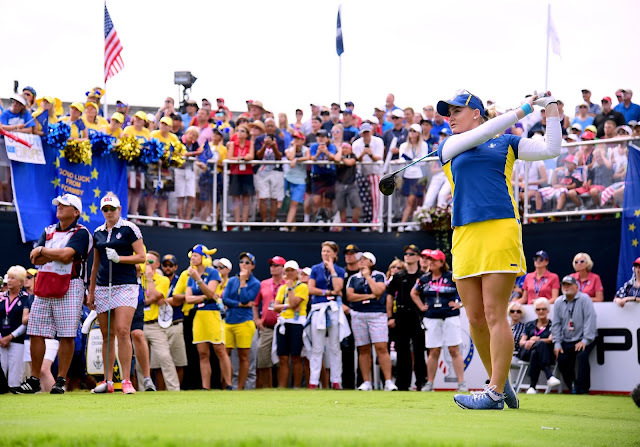 VisitScotland, on behalf of the Scottish Government, has stated the ambition to ensure the 2019 edition of the Solheim Cup in Perthshire will serve to both grow golf and leave a lasting legacy of increased participation in women's sport. Themes of equality, innovation and experience will be thread through all the events communications as The 2019 Solheim Cup aims to engage both the traditional golf audience and the wider sport fan, raising the profile of women's golf both in Scotland and internationally. The Scottish Government and VisitScotland have been long-time supporters of the women's game having partnered with the Ricoh Women's British Open and the Aberdeen Asset Management Ladies Scottish Open, including recently significantly enhancing the Aberdeen Asset Ladies Scottish Open which took place as a co-sanctioned LET and LPGA event for the first time this year. The 2019 Solheim Cup, staged in conjunction with IMG – the world's leading sports marking company - will not only showcase the stunning assets of Scotland, the Home of Golf, but also build on the legacy of the successful 2014 Ryder Cup at Gleneagles. It will underline that Scotland is the perfect stage for major golf events as it seeks to help inspire a new generation of children to take up the game invented in their home country.